Chapter 11 — Holy or Human? Chapter 12 — Shall We Be Different? 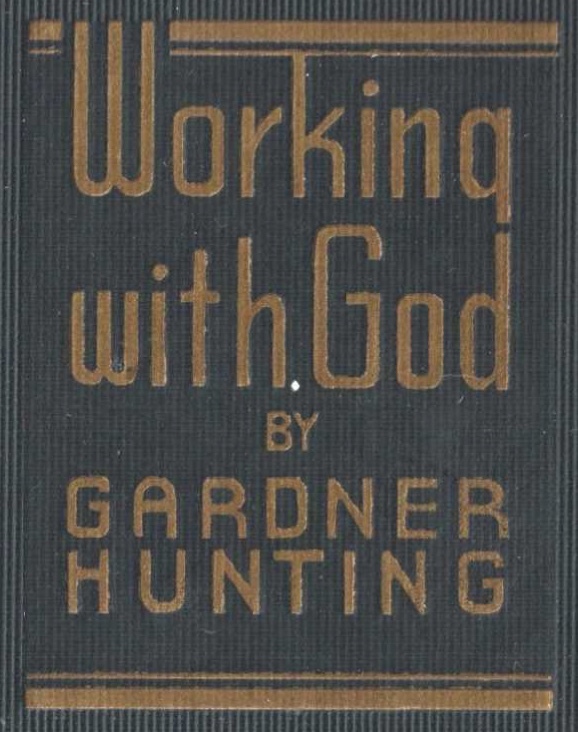 The keynote of this book by Gardner Hunting is the author's unshakable faith in God as the supreme law of the universe. This is evident in the chapters "Obedience to Law" "Keeping the Whole Law," and "You Can't Beat Spiritual Law." In "The Come-Back" and "My Own Shall Come to Me" Mr. Hunting points out even more definitely that God is law, and that "law always works—anywhere—everywhere—and forever." The writings of Mr Hunting are characterized by the utmost simplicity coupled with earnestness and sincerity. As you read the book you sense the fact that Truth is the big thing in his life, and you are impelled by the desire to make it yours likewise, for as Mr. Hunting says: "When we begin working with God, God works with us—and God works miracles."